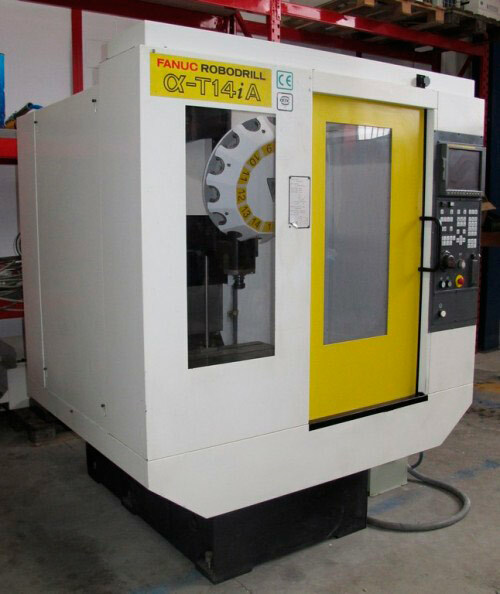 Vertical milling centers | Mecanizados Martinez Vanaclocha S.L. This one is the oldest milling center of those we currently have. In spite of that, it’s a very rigid and robust machine, which has always had a perfect maintenance, that’s why it is still working and manufacturing parts almost like the first day. Thanks to its big working table and axis travels, workpieces up to 1.000mm of length can be machined, even with multiple operations and high material removal, due to a power and working speeds not far away from the most modern milling machines. Over almost 15 years, this machine has produced many and very different parts, and has been equipped with some enhances of our own, like new hydraulic vises and a door opening and closing automated system. The RoboDrill is a drilling and threading center, more than a milling center as such. 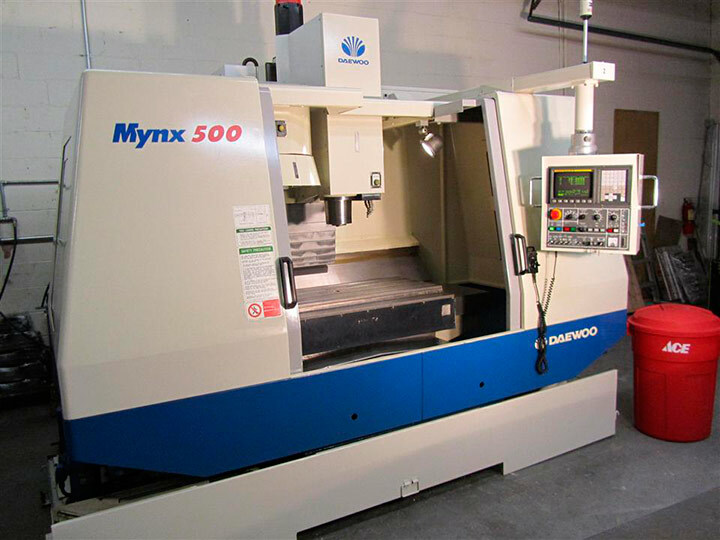 Because of it, it is extremely rapid and efficient in parts that require a high amount of drills, threads, reams… Of course it also performs very well in light milling operations, though. Both the dimensions of its working table and its spindle, as well as its tool magazine, are more reduced, what allows for much high feeds and rapid movements, up to 50m/min. Also, with a Random-type tool changer, the cutters can be changed in less than 1 sec, thus shortening chip-to-chip time and increasing its productivity. 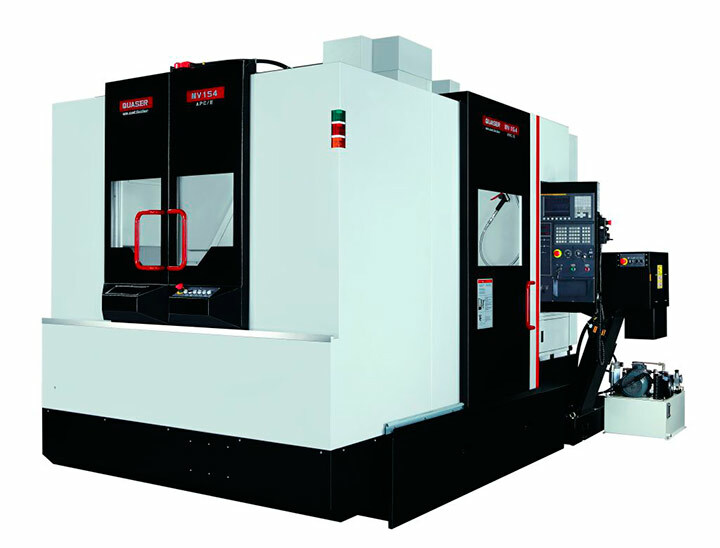 The Quaser machining center is intended for and was acquired with the aim of handling orders with a high amount of parts to be produced, where idle time reduction is indispensable to achieve high productivity. Because of that, this machine has two interchangeable working tables, with two vises in each of them, what allows having up to four working zero points at the same time. While the spindle is machining the parts on the first table, the second one is prepared so that, as soon as the machining is done and after a simple worktable turn, there are more raw parts to machine. In the meanwhile, the finished parts are taken out and new raw parts are placed, successively. This configuration allows the idle time to be reduced to only a worktable change, so the machine is constantly removing material. Together with some other features, like the 15.000 rpm that the spindle gets to reach and the internal coolant going through it, make the Quaser an authentic production monster. 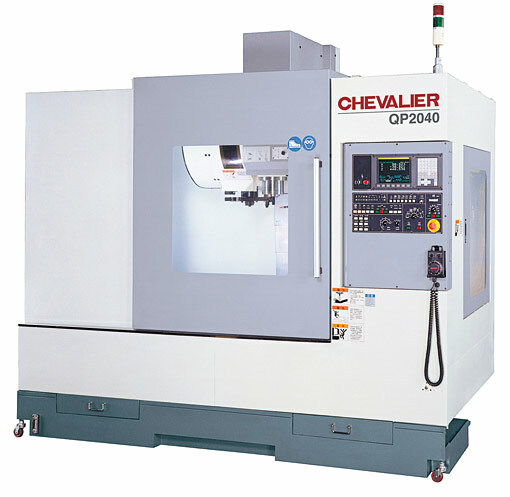 The Chevalier is the latest milling center acquired by the company, back in 2012. In spite of being a milling machine with only three axis, this makes it a more rigid machine, so it is able to mill faster. It’s equipped with through-spindle coolant, what extends tool life considerably, so the frequency of stoppage and tool change is reduced. The advanced Fanuc numerical control also allows to read and execute the long and multiple line programs quicker, so that any complex geometry, both 2D and 3D, is manufactured to the highest possible speed.